Fintan O'Toole has written a series of commentaries on the Brexit for the Guardian, the Irish Times and the Observer, before and after the referendum. These pieces were and continue to be widely referenced in the debates in the UK and Ireland. “I hurt myself today/To see if I still feel.” – Trent Reznor, Hurt. Why do people cut themselves? Obviously because they are unhappy, frustrated,angry. They feel that no one cares about them, no one listens to them. But it is still hard to understand the attractions of inflicting pain on yourself. Two things seem to make cutting addictive. One is that it gives the pain you feel a name and a location. You can feel it and see it – it has an immediate focus that is somehow more tolerable than the larger, deeper distress. The other is that it provides the illusion of control. You choose to do it; you are taking an action and producing a result. It is a kind of power, even if the only one you can exercise that power over is yourself, and even if the only thing you can do to yoursel is damage. The thing to remember is that, even though these actions are irrational, the distress is often entirely rational. It may be well founded. Maybe it’s true that nobody cares about you. Maybe your parents are so wrapped up in their own conflict and obsessions that they don’t really listen to you or pay attention to what’s going on in your life. Maybe you feel powerless because you actually are powerless. Being angry about the European Union isn’t a psychosis – it’s a mark of sanity. I would go so far as to suggest that anyone who is not disillusioned with the EU is suffering from delusions. Just look at what’s happening to Greece: the EU is slowly, sadistically and quite deliberately turning one of its own member states into a third-world country. And it is doing this simply to make a point. No serious person now believes that the EU’s Greek policies are working or will work. Greece’s infamous debts were 100 per cent of GDP in 2007. The so-called bailouts have pushed them up to 180 per cent now and a projected 250 per cent by 2060. And all for what? To satisfy some crudely religious notion that sinners must be severely punished if virtue is to flourish. A polity that inflicts such pointless suffering on some of its most vulnerable citizens is morally askew. The EU lost its moral compass when the Berlin Wall fell. Before that, it was in a competition against communism. The generations of western European leaders who had experienced the chaos of the 1930s and 1940s were anxious to prove that a market system could be governed in such a way as to create full employment, fair opportunities and steady progress towards economic equality. But when the need to compete with alternative ideologies went away after the collapse of the Soviet Union, the EU gradually abandoned its social democratic and Christian Democratic roots. It also moved away from evidence-based economics – the German-led austerity drive after 2008 has been impervious to the realities of its own failure. The social consequences have been shrugged off. Inequality has risen across the continent: the richest seven million people in Europe now have the same amount of wealth as the poorest 662 million people. There are now 123 million people in the EU at risk of poverty. That’s a quarter of the EU population. This has been allowed to happen because the fear of social and political chaos went out of the system. There is a European technocratic elite that has lost its memory. It has forgotten that poverty, inequality, insecurity and a sense of powerlessness have drastic political repercussions. The EU was founded on a kind of constructive pessimism. Behind its drive towards inclusion and equality lay those tw powerful words: or else. It was an institution that knew that if things are not held together by collective justice, things will fall apart. In the best sense, the EU itself was a Project Fear. Without that fear, the project became arrogant, complacent and obsessed with grand schemes such as the ill-conceived euro. Working-class communities in England, like their counterparts in most of the EU, are absolutely right to feel that they have been abandoned. Their distress is real. And Brexit gives their pain a name and a location – immigrants, Brussels bureaucrats. It counters their sense of powerlessness with a moment of real power. Brexit would, after all, be a very big thing to do. And if Brexit happens it will feel good. It will be exhilarating and empowering. It will make English hearts beat faster and the blood flow more quickly. Until they eventually notice that it’s their own blood that is flowing. The English always prided themselves on not doing revolutions. Their last one, in 1688, was for them, a curiously polite affair: the blood flowed at Aughrim and the Boyne, but not in East Anglia or Bristol. The self-image of English conservatives is one of slow, careful, moderate change. And now, ironically, the very people who claim to revere this heritage have staged a sudden, reckless, leap-in-the-dark coup. The country that prides itself o sober moderation has made one of the most impulsive moves ever undertaken in a developed democracy. The stiff upper lips have parted and released a wild and inarticulate cry of rage and triumph. Make no mistake: this is an English nationalist revolution. At its heart are all of the things the English used to see as the province of other, less rational, nations: identity, difference, the deep passions of belonging and resentment. It did not, in the end, matter that no one on the Brexit side could articulate a coherent economic case for leaving the EU. It did not even matter that those who will take over from David Cameron will be right-wing market fundamentalists whose policies will deepen the very inequalities and alienation that have driven working class voters towards Leave. It did not even matter that the very entity in whose name independence is being claimed — the United Kingdom — is surely doomed by Brexit. What mattered was what always matters in nationalist revolutions: the appeal of Us against Them. It helped the Leave campaign enormously that ‘Them’ is both tangible and abstract, both very near and quite far away. It is, on the one hand, the visible faces of large numbers of immigrants and, on the other, the faceless bureaucracy in Brussels. These were perfect targets for resentment, not least because they can’t answer back. Immigrants and bureaucrats were not on anybody’s campaigning platform. It was easy to turn them into sinister forces bent on crowdin the English out of their own homeland and binding them in chains of red tape. And it helped, too, that the European Union really is in a terrible state, that the passing of the generation of European leaders who experienced the second World War has left a vacuum where visionary leadership ought to be. Painting the EU as a failed project is grossly simplistic, but there is enough truth in this crude portrait for people to recognise the likeness. It helped, finally and most ironically of all, that the same Conservative Party whose internal disputes created this historic moment, is governing with the very limited legitimacy that 35 per cent of the vote confers. Britain’s unreforme first-past-the-post electoral system has left huge parts of the population feeling democratically irrelevant and unrepresented. However much one might be repelled by Ukip, it is obvious that when four million people vote for party and it gets just a single MP, Westminster itself becomes Them for many voters. But if the Them side of the nationalist equation is strong, the Us side is dangerously weak. This is a revolution that has scarcely spoken its own name. The English nationalism that fueled it was not explicitly on the table — it was cloaked in talk of Britain and the UK, as if those historically-constructed entities would be unshaken by the earthquake of Brexit. The English have no modern experience of national independence and the referendum campaign articulated no vision of what an independent England will actually look like. The key word in the pro-Brexit rhetoric was “back” – take back control; take back our country. Insofar as there is any vision behind the revolution, it is nostalgic. There is the illusion that England will now go back to the way it used to be a vigorous world power with a secure sense of its own identity that stands defiantly alone. It’s a used-to-be that arguably never was and that certainly is not going to be restored. In looking for security and stability, the English have launched themselves into one of the most unstable and uncertain periods in their modern history. They stand in triumph, sure that they have pulled off the trick of removing a whole layer of political reality without disturbing all the family tableware. They have yet to notice that so much that was on the table is now at their feet, broken, perhaps irreparably. Brexit has achieved the breathtaking feat of causing deep cracks in four different polities at a single stroke. One of them, most obviously, is the European Union. For the first time in its history, the EU’s engine has gone decisivel into reverse. At the simplest level, it has been a process of relentless expansion – no large entity in modern history has grown so rapidly since the United States in the 19th century. The questions that flow from it are not just about whether the Netherlands or France or Denmark might follow where England has led. It is about whether the blowback from failed austerity, the hubris of the euro project and the relentles rise of inequality will provide a fair wind for racism and chauvinism. The EU already has two member states – Poland and Hungary – that have moved towards authoritarian nationalism and away from liberal democracy. The success of the English nationalist revolution (and that is what Brexit is) will further energise those forces throughout the union. This will please some of the Brexiters, of course – at least until the more moderate of them realise that they are, after al Europeans and that the fate of Europe is their fate, too. But they surely cannot be so complacent about the other three polities they have managed to crack. What grounds are there to believe that when they come to power in their own little England, they will care about (or pa for) a province they clearly regard as a closer, wetter Gibraltar, an irrelevant appendage of the motherland. It beggars belief that the Democratic Unionist Party made common cause with a movement whose logical outcome is the end of the union. The last piece of the tableware that must now be badly fissured is the least expected: England itself. 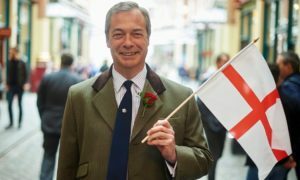 The English seem t have been utterly unprepared for how deeply divided they are, how bitter and angry the Brexit debate would be, how political assassination would return to the streets of England. That distrust extends far beyond the dominant political class – to church and trade union and business leaders and to the whole idea of objective expertise. Every time a Remain campaigner said the word “experts”, another Leave voter wa born. And this raises a huge question: where is the source of authority in the brave new England? Many of the most prominent Leave campaigners are naked chancers. They made stuff up with gay abandon, but when they come to powe in the autumn, they will be the establishment they have told everybody not to believe. Prime minister-in-waiting Boris Johnson is merely the winner of a Winston Churchill impersonation contest. He has a streak of Churchill’s brilliant opportunism and reckless charm, but he does not have behind him the national consensus that an existential struggle created behind Churchill and he is, in everything but girth, a lightweight. There is, of course, a tried and trusted way to hold this kind of rickety social coalition together. It is to turn up the volume on nationalism and xenophobia, to deflect the inevitable disappointment anger on to Them. The English nationalists have just lost their favourite scapegoat, the EU. When their dream turns sour, where will they find another? The vote for Brexit unthinkingly jeopardises the Good Friday Agreement, the greatest modern achievement of British diplomacy. It’s an insult to Ireland. The rather patronising English joke used to be that whenever the Irish question was about to be solved, the Irish would change the question. And now, when the Irish question seemed indeed to have been solved, at least for a generation, it is the English who have changed the question. Recklessly, casually, with barely a thought, English nationalists have planted a bomb under the settlement that brought peace to Northern Ireland and close cordiality to relations between Britain and Ireland. To do this seriously and soberly would have been bad. To do it so carelessly, with nothing more than a pat on the head and a reassurance that everything will be all right, is frankly insulting. Just five years ago, when Queen Elizabeth became the first reigning British monarch to visit southern Ireland in a century, there was a massive sense of relief. It was not just relief that the visit went off peacefully and well. It was much deeper than that: it was relief from centuries of both British condescension and Irish Anglophobia. A long story – often nasty, sometimes merely tediously wasteful – was over. There was a dignified, decent, democratic settlement that allowed the natural warmth of a neighbourly relationship to come fully to the surface. What will now happen is not that the old border will come back. It’s much worse than that. The old border marked the line between neighbouring polities that had a common travel area and an intimate, if often fraught, relationship. It was a customs barrier. The new border will be the most westerly land frontier of a vast entity of more than 400 million people, and it will be an immigration (as well as a customs) barrier. Meanwhile, the cornerstone of the peace settlement, the Belfast agreement of 1998, is being undermined. One of the key provisions of the agreement is that anyone born in Northern Ireland has the right to be a citizen of the UK or Ireland or both. What does that mean in the new dispensation? Can someone be both an EU citizen and not an EU citizen? Likewise, the agreement underpins human rights through the “complete incorporation into Northern Ireland law of the European Convention on Human Rights”. Though not strictly required by Brexit, the leave leadership is committed to removing the convention from UK law – in other words to ripping out a core part of the peace settlement. But the Belfast agreement isn’t some minor memorandum. It is an international treaty, registered with the United Nations. It is also arguably the greatest modern achievement of British diplomacy, partly crafted by public servants and made possible by British politicians, especially John Major and Tony Blair. It is one of the most successful models for conflict resolution around the world. Messing around with it is an insult, not just to Ireland, but to Britain’s international standing. This fecklessness in turn is deeply unsettling for unionists in Northern Ireland. It suggests that the new English nationalism is completely indifferent to their fate. During the referendum debates, a few pro-remain voices, such as the TUC general secretary, Frances O’Grady (herself of Irish descent), tried to make a gentle plea to voters to think about Ireland and the Belfast agreement. They went unheard. English nationalists, it turns out, wouldn’t give the froth off a pint of real ale for the Irish peace process. And if they don’t care enough even to talk in any serious way about the consequences of Brexit for Northern Ireland, what grounds are there to believe that when they come to power in their own little England they will care about (or pay for) a province they clearly regard as a closer, wetter Gibraltar, an irrelevant appendage of the motherland? Northern Ireland desperately needed a generation of relative political boredom, in which ordinary issues such as taxation and the health service – rather than the unanswerable questions of national identity – could become the stuff of partisan debate. Brexit has made that impossible. Sinn Féin’s immediate call for a referendum on a united Ireland may be reckless and opportunistic, but no more so than the Democratic Unionist party’s failure to understand that Brexit is the best gift to Irish nationalists. It is the beginning of the breakup of the union and the rise of an independent England for which Northern Ireland will be no more than a distant nuisance. Boris Johnson was only playing, after all. But he was playing with fire. Like the followers of Donald Trump in the US, white working-class Brexit voters are experiencing a new kind of politica relationship. These movements may look like the reactionary populism we have seen many times before, but they are profoundly different in one crucial respect. The old reactionary politics is utterly serious: its leaders really intend to do what they say they will do, and they really mean to reshape systems of government to allow them to do it. When they say they are going to cut out the contagion that is corrupting society – the Jews, the Catholics, the blacks, the communists – they really mean to act on their twisted obsessions, and they have every intention of creating the authoritarian systems that will allow it to happen. What’s different about the new reactionaries is that they are not at all serious. The farce of Boris Johnson’s abortive leadership bid is just a token of a deeper truth: this is a game of thrones that is all game and no throne. But this is to miss the point of our particular political moment in the Anglophone world. It may be true that the best lac conviction, but the second part of Yeats’s comparison emphatically does not apply. The worst are not full of passionate intensity; they are, to borrow from a different Yeats poem, just a pretty bellows full of faux-angry wind. They have no serious intention – no plan and no means – of doing the things they say they will do. Here are some of the things that are not going to happen in the next few years, even in the unlikely event that we end u with president Donald Trump and prime minister Michael Gove. There will not be a wall across the Mexico/US border and Mexico will not pay for it. Muslims will not be barred from entering the United States on the grounds of their religion. Immigration into the UK will not be drastically reduced. An extra £350 million a year will not be put into the National Health Service. British fisherman will not be hauling in greatly increased catches. Vast steel plants will not reopen in Pennsylvania and Port Talbot. The point is that neither Trump nor the Brexit leaders have ever believed for one moment that any of these promises ar real. Consider the evolution of Trump’s most lurid (and, according to the polls, most resonant) proposition: the ban on Muslims entering the US. It is indeed a staggering suggestion – it would overthrow the US constitution. But we can say with some certainty that one person who has never taken it seriously is Trump. He then said customs agents would be instructed to ask incoming travellers if they are Muslim, and that those who said yes would be turned away. In May he retreated, saying the whole thing was “just a suggestion until we find out what’s going on”. On June 13th, Trump changed his mind again, saying he would ban everyone from “areas of the world where there is a proven history of terrorism against the United States, Europe or our allies”. (This would, of course, include Ireland, Germany and Italy.) Then he corrected this to say that it applied only to Islamist terrorism. This is not a politician refining a serious policy proposal or even a fascist planning an outrage. It is just a spoofer trying to remember what spiel he came up with last. This was a double lie: there was no £350 million a week, and Johnson, Gove and their allies were also promising large chunks of it to farms, education and research. Chomsky pointed out that this sentence is entirely grammatical; it follows all the rules of the way we construct statements of fact. But it is still nonsense. It refers to nothing whatsoever. When Trump says “I will build a wall and Mexico will pay for it” or Boris Johnson and Michael Gove say “We send the EU £350 million a week – let’s fund our NHS instead”, they are actually saying “Colourless green ideas sleep furiously. Their claims have the form and grammar of traditional political promises, but they bear no relation to anything they actually intend to do. The problem with pure nonsense is that is cannot be contradicted: it is no good arguing that colourless green ideas don really sleep at all. And so it is with these claims. You can point out, for example, that even if Trump could build his wall it would have to run through the middle of the Rio Grande. But in order to do so, you are depending on something that is entirely irrelevant to Trump’s claim: the real world. In the old politics, we know what would have happened to the £350 million claim. Once it was comprehensively proven to be a lie, the Leave side would have had to withdraw it and the Remain side would have made hay. In the new politics however, the protestations of the Remain side that their opponents had been caught out in a huge lie were entirely ineffectual. Exposing the lie was like revealing that Snow White didn’t live with seven dwarves. People simply shrug an say that maybe she lived with six dwarves instead. So what? Where is this new politics of fake reaction coming from? Like all products, it has a supply side and a demand side. The supply side is the world of media and branding. The Leave campaign was the product, not just of media barons suc as Rupert Murdoch and Paul Dacre, but of the Frankensteins they have specialised in creating – chimeras who are half politician and half professional journalistic provocateur. It says it all that Johnson’s first pronouncement on what the campaign he had led actually meant for the lives of UK citizens came, not in a press conference or a public speech, but in his “exclusive” Daily Telegraph column, for which he is paid £275,000 a year. Johnson and Gove have followed the same path, from the Oxford Union where they learned to argue opposite sides of any case with an equal pretence of conviction, to Murdoch’s Times to the Tory Party and high office. They are, as Nick Cohen put it in the Observer, “the worst journalist politicians you can imagine: pundits who have prospered by treating public life as a game”. Both are highly practiced in a kind of meta-politics, in which commentary and activity, medium and message, are fused into one. In that meta-politics, what the US satirist Stephen Colbert called “truthiness” – stuff that feels like it should b true – trumps the truth every time. Trump is even further along this postmodern road, a longtime harbinger of the new world in which you don’t make money by creating and selling things, but by being known as a guy who makes money. His real business career is pockmarked with bankruptcies. But he had the genius to understand early on that reality was entirely irrelevant. He went into self-branding. Trump is a performer who acts out the role of mogul: an act perfected and popularised, of course, on The Apprentice. I that role, he has learned that political statements may be even more powerful when they have the same relationship to reality as his mogul brand has to actual business: none whatsoever. On the demand side of the equation, we know, of course, that this new reactionary politics appeals to something all too real. That is the desperation of people who have been dumped out of the working- class lives of industry and aspiration they once knew and into the humiliating experience of being discarded as human set-aside. We should not underestimate the extent to which Trump and the Brexiters feed off the sheer anomie of life in left- behind communities. Yes, it thrives on anger, but it also thrives on boredom. Working-class communities have been taught by late capitalism to consume fantasies. They know very well that buying and wearing an acrylic T-shirt with the colours and advertising logos of Manchester United or the Cleveland Browns doesn’t really make you one with the multimillionaire sports star whose name is on the back. And they know that cheering for Trump or having a selfie taken with Boris doesn’t actually make you one with these entitled scions of the ruling class. But there is a comfort in the illusion: it breaks the boredom of a hopeless existence. Listening to Trump tell you that he is going to build a wall or to a Brexit leader telling you that there will be no more immigration is like buying a lottery ticket. You don’t have to actually believe that you are going to win $100 million or £100 million this week. For even if the chance is one in a billion, it’s a chance: it keeps the boredom at bay by introducing a fantastic possibility. In this logic, the bigger and more outlandish the political claim (No more Muslims! Your industrial job is coming back!) the more reason there is to buy the ticket. You don’t have to actually believe that Trump is telling the truth when he say he will build a wall. You just have to believe that there’s a one in a million chance he might. The more desperate you are the more brightly the prospect of a transformative moment glimmers on the distant horizon of your dreams. The problem now is that, with Brexit, many of these people think their numbers have actually come up. Brexit, to its leading champions a mere linguistic construct, has become a real world event. The transformative moment has arrived. And then their leader, Boris Johnson, walks away, tacitly admitting that his successful advocacy of this great upheaval was no more serious than winning a debating competition at the Oxford Union. He was only playing, after all. But he was playing with fire. The fantasies that he and Trump have pumped into public life are not harmless – these dreams are other people’s nightmares. And these dilettantes may have opened the door for more serious people. It would be entirely in keeping with this weir postmodern drama that the simulacrum could become a reality, that the cod reactionaries could usher in the real ones. Now that xenophobia, ruling-class anarchism and self-destruction have been placed on the menu of popular political stimulants by the reckless fabulists, the rapidly disillusioned millions may be ready to place the same order. Opportunistic politicians are promoting a discourse based on unrealistic optimism. New times require new words. US satirist Stephen Colbert invented “truthiness” – a political discourse in whic what matters is what you feel to be true, regardless of any evidence. In a similar spirit, I offer “hopeitude” an define it as a political discourse in which overwhelming optimism is expressed on no grounds whatsoever. Hopeitude is the language both of Brexit and of Donald Trump. Real hope has an intimate and serious relationship to despair. Hope and despair are not pure opposites. The great developments of modern civilisation – democracy, universal healthcare, access to education for the masses, recognitio of equality between genders, the revolt against prejudice based on race, religion and sexual orientation – have all been driven by both emotions. You have to despair of poverty, ignorance, prejudice, injustice, indignity and patriarchy befor you can rise up against them. Out of despair comes the hope that something better must be built. And this hope is concrete: it provides the sense of direction from which realistic maps of the future can be made. Right now, there’s plenty of despair to go around. Large sections of society have been robbed of the main ingredient of hope: the basic belief that your lives, or at least the lives of your kids, are going to get better. But the reactionary movements now on the rise have no concrete grounds for hope. They don’t offer a radical redistribution of wealth or improved access to healthcare or pathways into higher education or the possibility of a decent, secure job. They don’t embrace despair – they merely exploit it. They can’t offer hope – they can offer only hopeitude. Hopeitude is the political gambler’s bluff. You don’t have two cents worth of real hope in your hand, so you put a big pil of hopeitude chips on the table. It’s a perfect parallel to the diet of empty calories that late capitalism has devised for th poor – instead of feeding the body politic, it bloats it with corny emotional syrup and cheap rhetorical trans fats. For much of this rhetoric is pure X Factor. Hopeitude resonates in large measure because it chimes with the new religion of the talent show. If you dream hard enough, your wish will come true. If you really, really want it, it will happen. Leadsom actually said this: “I want to lead a nation where anyone who aims high can achieve their dreams.” This is the politics of reality TV: wanting a job or an education is like wanting to be a star. Believe it and it will happen. In hopeitude, the real-world struggle to achieve dignity is replaced with the fantasy of achieving your dreams. What’s happening here is a Ghost Dance for the 21st century white working class. In the late 19th century, when their world had been destroyed, the Plains Indians of the American midwest looked to the prophecies of the shaman Wovok He said that if they did the Ghost Dance, the buffalo would come back, the dead Indians would return and a great natural disaster would make all the white people disappear. Hopeitude is the Ghost Dance at the fag end of a sleazy rave, with privileged politicians selling coke and ecstasy and the promise that if you keep dancing the steel plants will come back to the great plains and the dead hopes of social democracy and the New Deal will return to Earth. The sugar rush of ersatz optimism will wear off soon enough, but it will be followed by an even deeper despair. The questions will get nastier: why is everything not great and beautiful? Why have the immigrants not gone home? Why are we not prospering, as Trump has it, “bigly”? Why have the buffalo not returned? The old roles have been reversed and now Dublin must seek a creative compromise on Britain’s behalf. In the satire 1066 and All That, it is claimed that William Gladstone “spent his declining years trying to guess the answer to the Irish question; unfortunately, whenever he was getting warm, the Irish secretly changed the question”. And now it is the British who have changed the question. Just when relations between Ireland and Britain had reached an unprecedented equilibrium, Brexit makes everything deeply unsettled again. When James Joyce’s alter ego Stephen Dedalus claims in Ulysses that “History … is a nightmare from which I am trying to awake”, it is surely Irish history he has in mind. But now the Irish have to awake to the living nightmare of British – perhaps we should say English – history. Brexit is disconcerting on so many levels that it is easy to miss one particularly discombobulating shift. For centuries, there has been a potent contrast between the place of history in the two islands: in Britain, history was over; in Ireland it was continuing on its baleful path. All the mad conflicts over nationhood and identity and constitutional structures had ceased to trouble the essential British settlement. It was the poor bloody Irish who were still roiled and racked by all that dark passion. There was an Irish question and it was a maddening perplexity. But there certainly was no English question. And now our little archipelago is turned inside out. We have swapped places. Ireland has, or thought it had, a workable settlement, a way of taming and managing its history. It has been awfully hard-won, carved slowly out of a big block of human agony. But then up pops the English question. It seems as if these islands must have a fixed quantum of nationalist fervour, a strict allocation of identity crises and cultural neuroses. When it diminishes in the west, it suddenly wells up in the east. The bad habit of defining “us” as “not them” finally wanes in Ireland, but just as it does so it waxes again in England. Britain’s Irish question becomes Ireland’s English question. For Ireland, our English question is every bit as intimate and excruciating as it is for those in Britain who are still wondering how Brexit came to pass. For good and ill, the two islands are stuck together in a marriage that can be sundered neither by death nor divorce. And in a marriage, you suffer badly when your spouse goes off the rails. Brexit threatens the Northern Ireland peace process, undermining the Belfast (Good Friday) agreement. It poses the real risk of the imposition of an external European Union border across the fields of Fermanagh and Tyrone. It hurts indigenous Irish businesses whose main trade links are with the UK. To misquote WB Yeats, we are locked in to the Brexiteers’ recklessness and the key is turned on our uncertainty. The initial Irish reaction to being dragged into the mad antics of English nationalism has been one of fury. It is one thing to be made part of someone else’s historic nightmare, but quite another to be given this role by people who seemed not to know or care what Brexit might do to Ireland. And this applies as much to the remainers as to the Brexiteers. I’ve just read Craig Oliver’s gripping account of the whole referendum debacle from inside Downing Street. I note that the Daily Mail is mentioned 14 times and the Daily Telegraph 22. Game of Thrones, The Godfather and The X-Files all feature. Northern Ireland? Not once. The Republic of Ireland? Zilch. John Bull’s Other Island was apparently cut off by a thick mental fog for the duration of the campaign. The careless rapture of England’s identity crisis leaves many of us on the other side of the Irish Sea in a cold rage. Tempers have not been calmed by the patronising vagueness of the reassurances that we shouldn’t worry because everything will be all right. 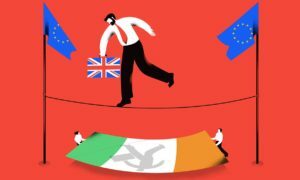 It doesn’t help either that at the back of these reassurances is an assumption among some Brexiteers – including some of the Unionist leadership in Northern Ireland – that the Republic of Ireland is not really an independent country, and that it will simply have to follow Britain out of the EU. The suggestion that Ireland will operate UK migration controls at its own ports and airports carries with it the same presumptuous air. But anger is of little use. No one knows better than the Irish the chagrin of having your neighbours adopt a superior tone and tell you to get over your funny historic obsessions – so Ireland shouldn’t do that to England now. Instead the Irish government has to do the decent thing for all concerned, which is to try to talk its British friends down from the ledge of a hard Brexit, and to talk its European friends out of pushing Britain off that ledge. It’s not the kind of job that one sovereign government would normally undertake in relation to another. But in the current circumstances, what has normal got to do with anything? There are signs now that the vanquished remainers are trying to find a voice. The economic consequences of Brexit are becoming clearer and the ugly tone of the new xenophobia is becoming more repellent to the great British traditions of moderation and tolerance. There is still time between now and the invocation of article 50 in March 2017 to galvanise a common effort across all the polities of these islands to look for a third way between hard Brexit and no Brexit. While both the Brexiteers and the EU leadership are posing this stark choice between extremes, the mutual interest in achieving a more fluent, ambiguous compromise must not be lost. Zealots will find this despicable, and claim that compromises never work. But the fact is that the Irish question was solved (in the medium term at least) by just such a creative fudge. The 1998 Good Friday agreement, which came from the intimate cooperation of the Irish and British governments, is a masterpiece of ambiguity. It replaces hard certainties about identity and constitutional status with an open, contingent and deliberately slippery compromise. It works imperfectly, but it does work – precisely because multiple identities and political contradictions are what we all have to live with – in Ireland, Britain and Europe. It is, in this, a fine model for the kind of creative reconciling of opposing impulses that could solve the English question. And remember that it was much harder to achieve than a sensible semi- Brexit may be because it had to be negotiated across a blood-soaked table. The Irish government needs to forget protocol and set itself up explicitly as the champion of a soft, ambiguous and contingent Brexit that leaves open the possibility of a return ticket. Keeping Britain within the single market is a vital Irish national interest, and some of us are arrogant enough to suggest that it might be no less vital for Britain. Before the war of words escalates and positions petrify into irreconcilability, Ireland should make an urgent and coherent effort to plead the virtues of equivocation. If nothing else, Ireland helping England out of a hole would be a historical irony worth savouring.